Those of you that know this app know that it is the Mediacenter replacement we are all waiting for. Since Microsoft refused to port Mediacenter to Metro, we’ve been looking for another champion that will power our DLNA world. 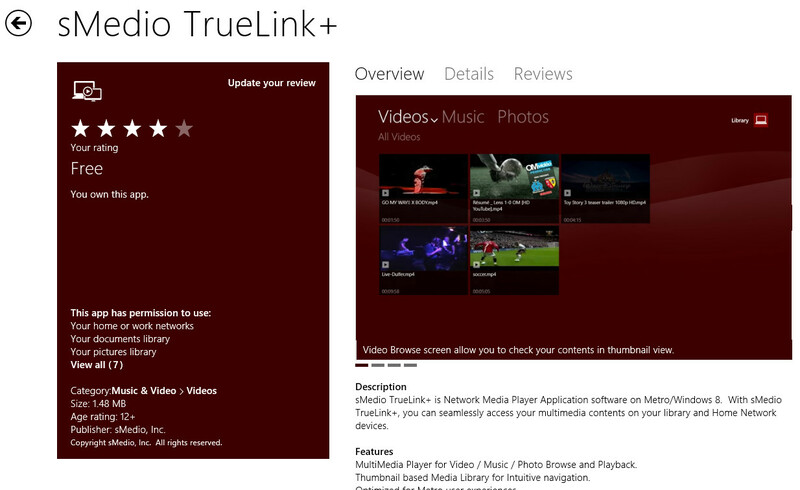 Well, TrueLink+ is proving to be quite adequate on that area. The application can scan your network for shared media and DLNA devices and connect to them automatically. This new version sports a better UI tune-up and speed to boot. Download it and surprise yourselves.